Exciting news! 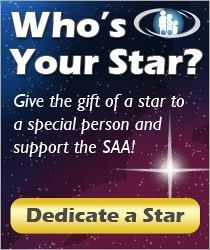 The SAA has an ad on The National Flute Association website, www.nfaonline.org for the months of January, February, and March. It is a revolving ad on the pages of their website. Our Summer Institute Logo ad button link takes you directly to Flute events sponsored by the SAA. What a great way to reach millions of flutist! Check it out!